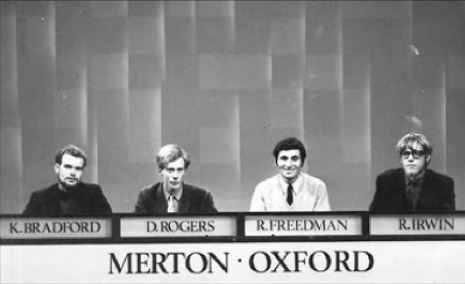 These are the results of the fourth series of University Challenge which ran weekly on ITV, starting on 7 September 1966 and ending on 3 June 1967 after 40 shows. In Anglia the series was again broadcast on Wednesdays at 19:00 but moved to Fridays at 22:05 for the final 9 shows of the series. 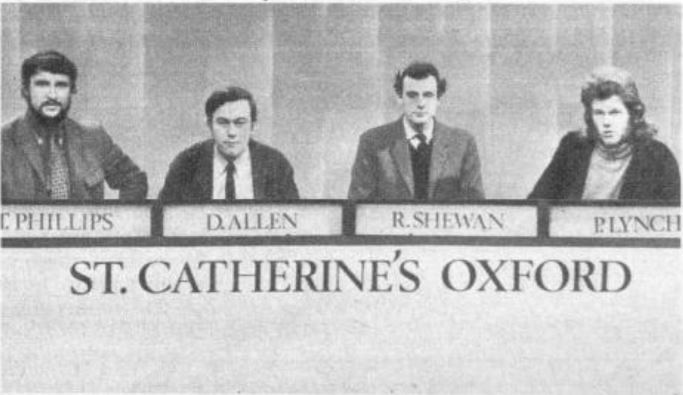 On December 28 1966 a special Christmas show was broadcast between the (all-female) 1966 St Hilda's College, Oxford team and the (all-male) 1966 champions from Oriel College, Oxford. The popular St Hilda's team returned again in Christmas 1967 to face the 1967 champions, Sussex, and again in Christmas 1969 to take on the 1968 champions, Keele. The first round had a 'winner-stays-on' format, with a team qualifying for the quarter-finals if they won three in a row, and again the quarter-finals and semi-finals were single-game knockouts, with the final 'best-of-three'. 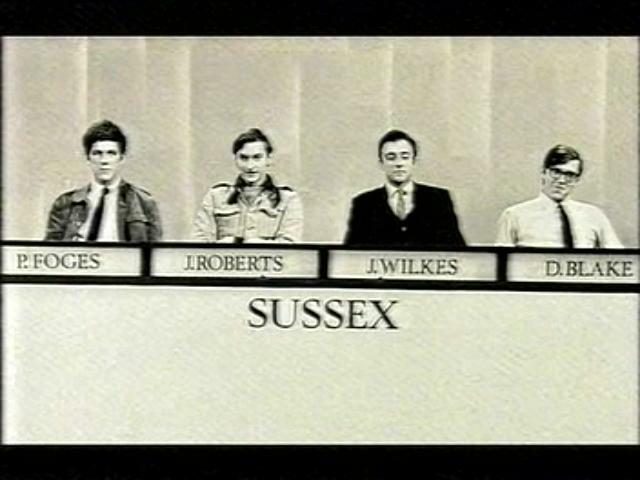 The champions from Sussex University were Peter Foges (Psychology), John Roberts (International Relations), John Wilkes (History), and David Blake (Maths & Economics). Their prize was a "specially commissioned ceramic mural which was installed at their university in Brighton". In addition the contestants were each given a two volume Shorter Oxford English Dictionary. Other teams appearing on this series include Cardiff; Essex; Gonville and Caius, Cambridge; Leicester; Manchester; Merton, Oxford; Peterhouse, Cambridge; Royal Holloway, London; Sheffield; St Hugh's, Oxford; UEA; York. 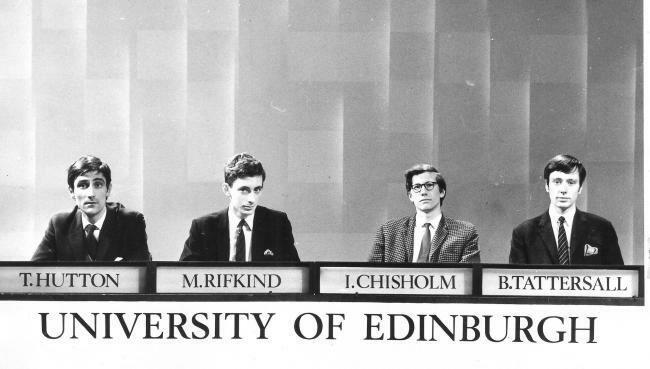 The Edinburgh team included politician Malcolm Rifkind, and the Fitzwilliam, Cambridge team included historian David Starkey. Edinburgh beat St Hugh's, Oxford in their first game, and later beat Essex 280-50 in the first round. 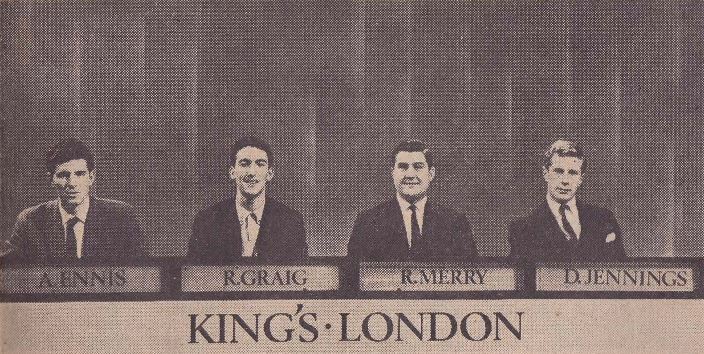 King's, London beat an Oxford college, a Cambridge college, and UEA in their first-round games. 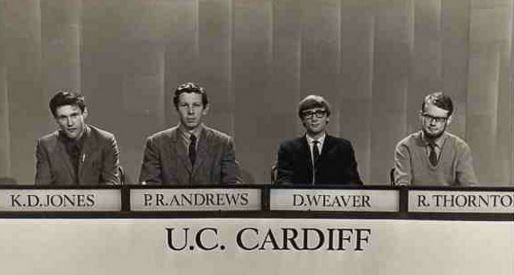 Cardiff beat York in the first round with the score reported as being 160-15. Christ's, Cambridge played Manchester in one of their first-round games. Merton lost their only game. 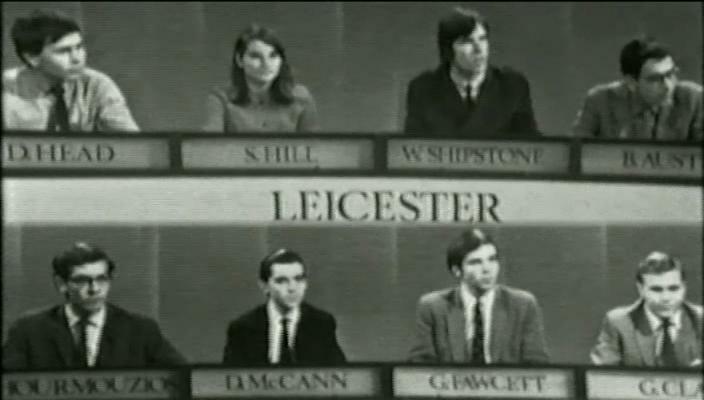 Leicester played Peterhouse, Cambridge.